You can book ferries from Donoussa with Blue Star Ferries and ANEK Lines, who offer regular services from mainland Greece throughout the Cyclades. Using the panel below, you can see departure times and sailing information. Anek Lines has a fleet of 11 magnificent modern air-conditioned ships which all offer a full range of facilities on board. You can choose from a range of inner or outer ship cabins with two, three or four beds and on Anek Lines Italy-Greece routes you can even choose a deluxe cabins featuring a sitting room and TV and Internet access. Due to the small size of the port, there are relatively few facilities. However, the village offers a few restaurants and shops. The limited roads in Donoussa are rough and very basic, and not usually driven on with cars. In fact, motorcycles are seen as a much safer option on these roads, and people are advised to take motorbikes with them if they so wish, due to the lack of a car or motorcycle hire facility on the island. Due to the size of the island, there is no public transport service such as buses, trains or trams. 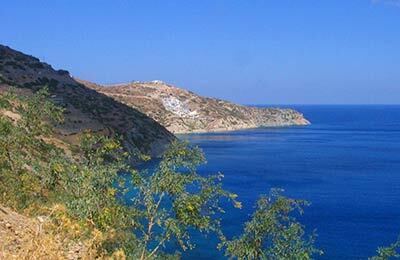 So book your Donoussa ferry online simply and easily with AFerry. 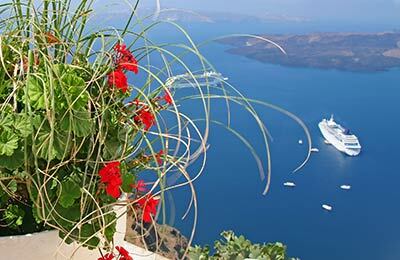 Enjoy your Greek holiday with AFerry!